Photo Copyright www.joonpowell.com Used with permission. From Ruiz, Mexico to Smyrna, Tennessee is about the same distance as from Nashville to the Grand Canyon. Hilario Razura has made the Ruiz-Smyrna trip three times now. Most of what you will read about Hilario in the press will be about his time as a guest worker in Smyrna this year, and why that time was cut short. I wanted to find out more about the Hilario of Mexico, and how he got here. Here is what he told me. 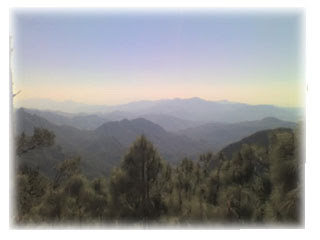 Hilario came to Tennessee from the town of Ruiz, which is near Puerto Vallarta on the Pacific coast. He lives in Ruiz with his wife Grisela, their two daughters Graviela and Carla, and their son Manuel. Two of the kids are teenagers, and the third is a grade-schooler. The family lives with Hilario's mother Zenaida and his stepfather, Lupe, who raised Hilario. Hilario's father died when his son was only 6 years old. 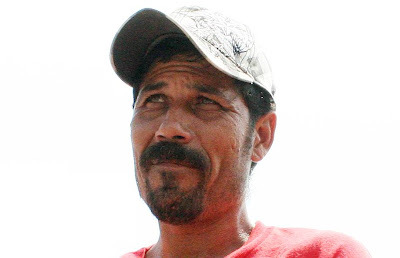 Hilario was the oldest of four children - two boys, and two girls. Hilario has a fourth-grade education. Like his father and his only brother, Hilario's work in Mexico is in the fields. Pay is the equivalent of about US$12-15/day. Harvests include chiles, tomatoes, and tobacco. The day starts at 4am, and by 2pm Hilario is back home, where Grisela will have food waiting for him. The rest of the afternoon, Dad will play with the children and talk to Mom. By 9pm, he is asleep. They are Catholic, but they do not attend church very often. On days off, they head to a nearby river, where they picnic at the waterside. News of work in Tennessee comes to Hilario through a man in town. Juan Gomez says he will send your name, along with the names of other workers, to a Mexican recruitment company. If you don't have a passport, you go apply for one in the nearby town of Tepic, about 30 miles south of Ruiz. Then you wait for a call from the recruiting company. When the call comes, they give you a date to show up for an interview with the U.S. consulate in Monterrey, Mexico, which is 400 miles away. When that day of the interview comes, Hilario arrives into Monterrey around 3 a.m. on the day before the interview. He is taken to a line where he is fingerprinted and paperwork is processed. The next day, he passes the interview at the U.S. consulate, and in a few hours, they produce his H2B visa. The consulate officials also give Hilario a piece of paper with information about his rights. It has a 1-800 hotline number listed on it. With the H2B visa and the 1-800 number in hand, Hilario heads to the bus terminal and buys a ticket for Memphis. The bus crosses the border at Nuevo Laredo, heads through San Antonio, Austin, Dallas, and Little Rock, and finally arrives in Memphis. From the Memphis bus station, Hilario has been instructed to call his U.S. employer Vanderbilt Landscaping LLC. Hilario waits a few hours, and his employer picks him up. They all make their way to a rural property in Smyrna, near Nashville. Hilario knows every guest worker there. They're all from Ruiz. Hilario says he has made two previous work trips to Middle Tennessee: in 2005, and last year, in 2009. All three trips were for Vanderbilt Landscaping. Hilario borrowed about $800-900 to get here this time - $500 from Vanderbilt Landscaping for travel fees and other expenses, and the rest to get to Monterrey and to pay for food and hotel there. At some point after arriving this year, Hilario called the 1-800 number on that piece of paper from the consulate. Hilario was referred to the Alliance of Guestworkers for Dignity, and from there Hilario's story starts getting some press. Hilario is traveling back to Mexico today, where he will rejoin his family. For more on why Hilario is leaving Middle Tennessee, read any of the multiple stories here and also the photo essays on Joon Powell's blog, here and here. Mack has his commentary here. Southern Beale has her opinion here. Photos of the housing provided by Vanderbilt Landscaping are here.